Welcome to my Sigmarion Page! This page will be made to show what can be done with Sigmarion series. Sigmarion series can connect to servers via ssh. Use vxHpcPlus by Cambridge Computer Corporation. I tested it with Sigmarion 1, it works very well. 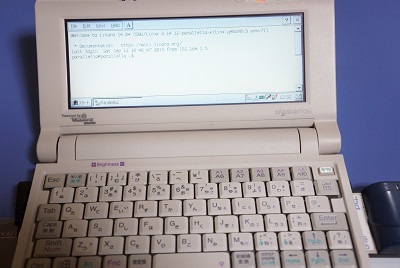 Ever needed to run a web server on your Sigmarion? Use CeHTTP. I used it for years with my first Sigmarion 1. It is very well made. Source code is available from the site as well.